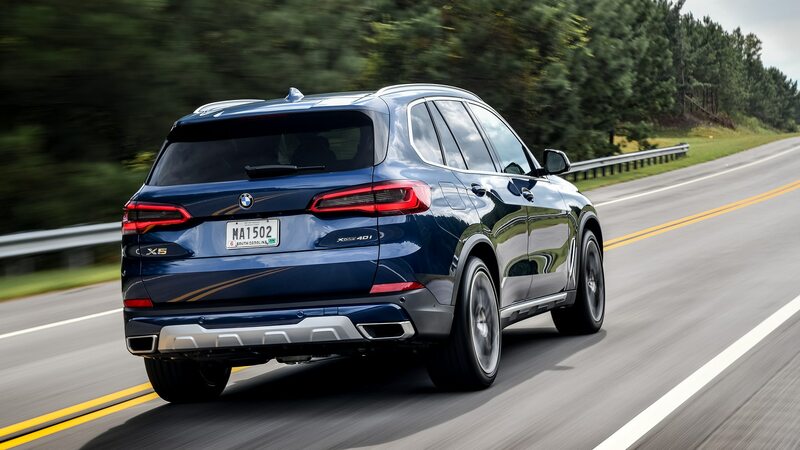 CHATTAHOOCHEE HILLS, Georgia — I hate to admit this because I’m not the biggest fan of made-up names for cars that already exist, but BMW’s claim to coining the Sports Activity Vehicle, or SAV, name might be truly applicable to the fourth-generation X5. 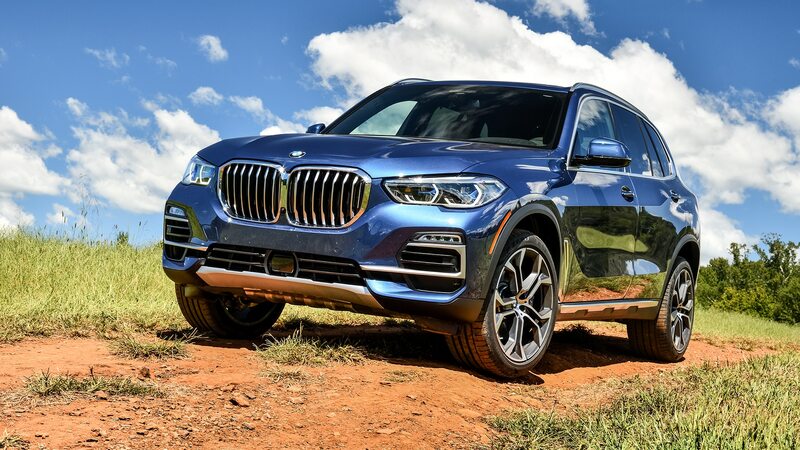 During our day of testing the latest high-riding Bimmer, I was left impressed with the vehicle’s breadth of capability both on and off-road. However, as much as I was impressed, I was also shocked about how specific one must option an X5 to get exactly the vehicle we assessed. Take my overwhelmingly positive review with a grain of salt—as each modicum of praise is tempered with the acknowledgement of extras that may alter one’s experience in that area. 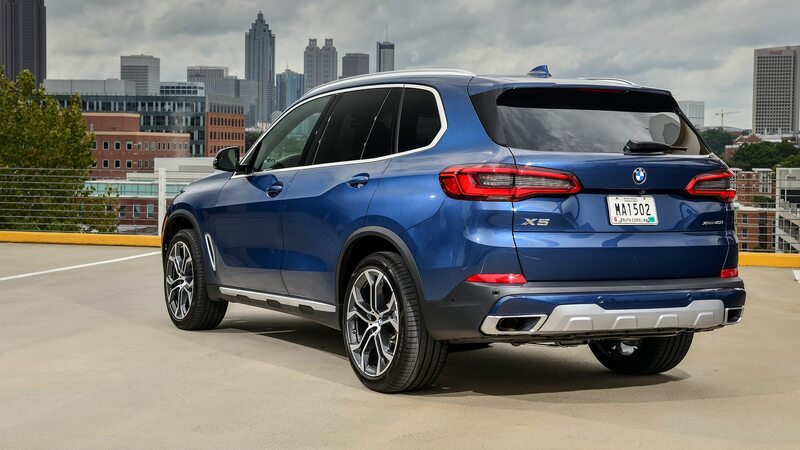 The new generation of X5 looks muscular and modern, further beefed up with a 21-inch wheel, although choosing these will incur a $1,550 ding to the bill. 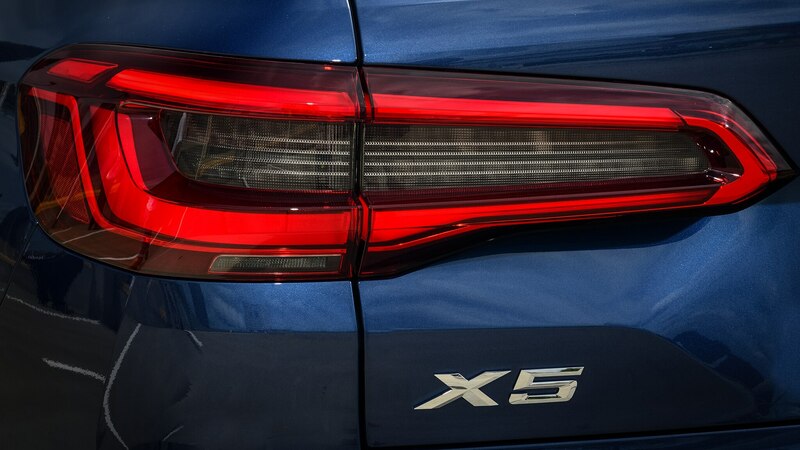 Our xDrive40i spec tester wore Phytonic Blue Metallic paint, which can be had for $550. The color contrasted beautifully with the Satin Aluminum trim and roof rails, and the result is a ute that looks both upscale and rugged. 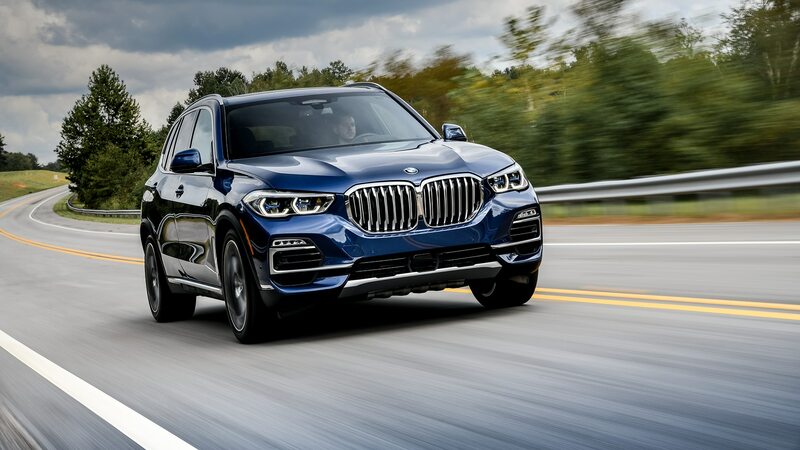 Our tester was equipped with the base engine, a turbocharged 3.0-liter inline-six cylinder which churns out 335 hp and 330 lb-ft. It’s mated to an updated version of the ZF 8HP eight-speed transmission found in other cars across BMW’s lineup, which it calls a Steptronic and says provides sportier shifts. 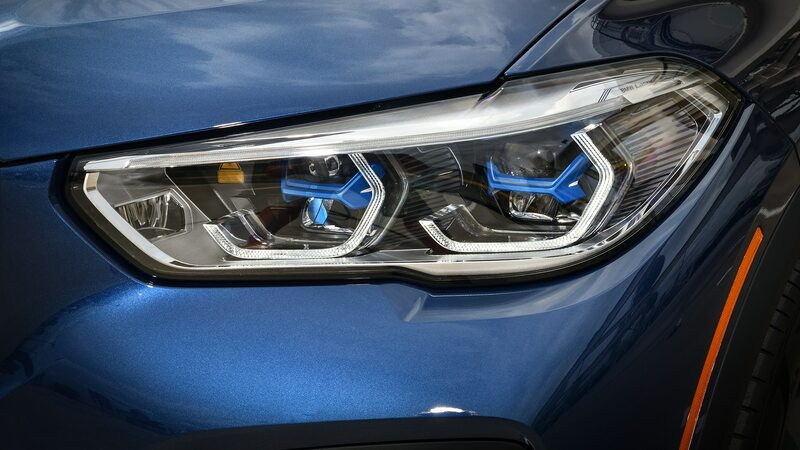 Fortunately, the upgraded M Sport brakes, for which BMW asks $650, bring the mass to a stop expertly. 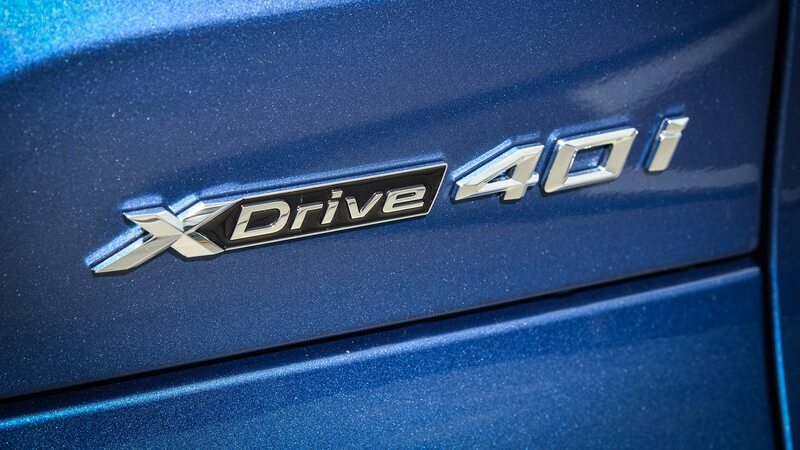 The powertrain, which drives all four wheels via the xDrive system, feels characteristic of the ideal BMW. 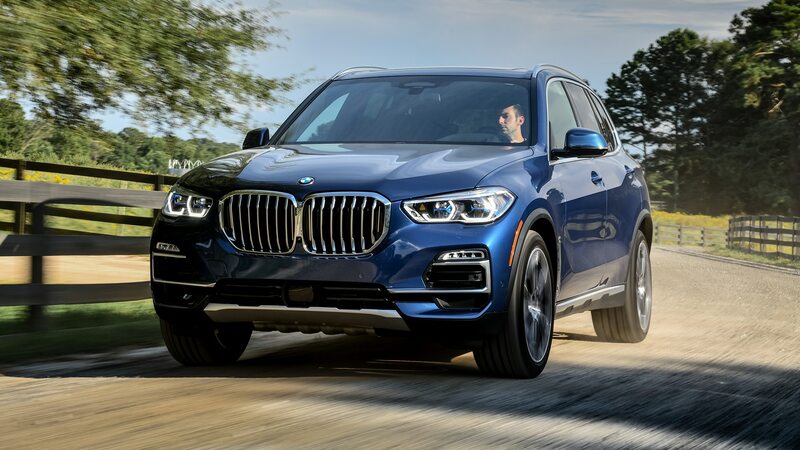 Under acceleration, the engine feels buttery smooth and moves the 4,813-lb SUV with ease. 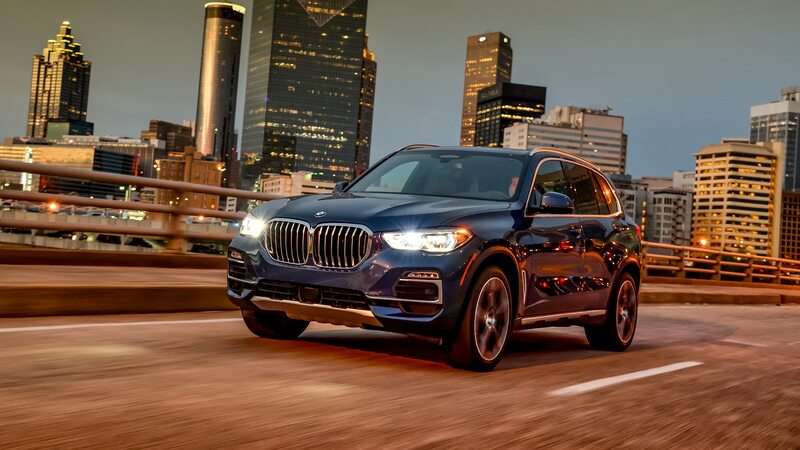 Push the gas pedal to the floor and the X5 thrills as it surges forward. The exhaust note emits a delicious snarl and snorts as the transmission works its way through the gears. 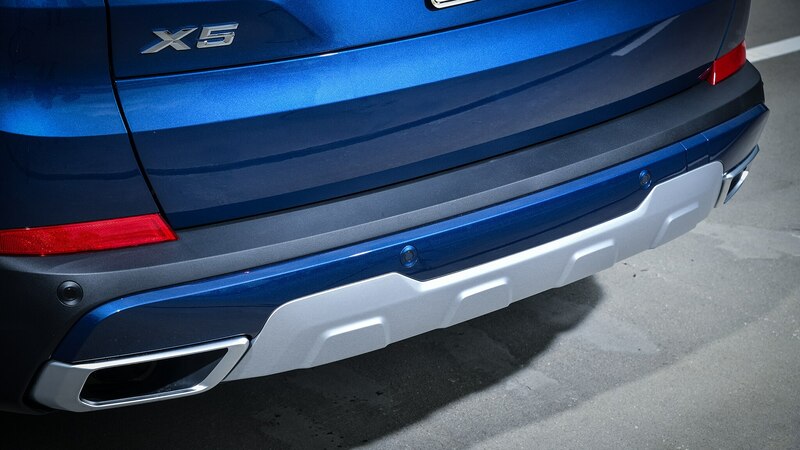 Even at full chat, the two-axel air suspension keeps everything tidy. 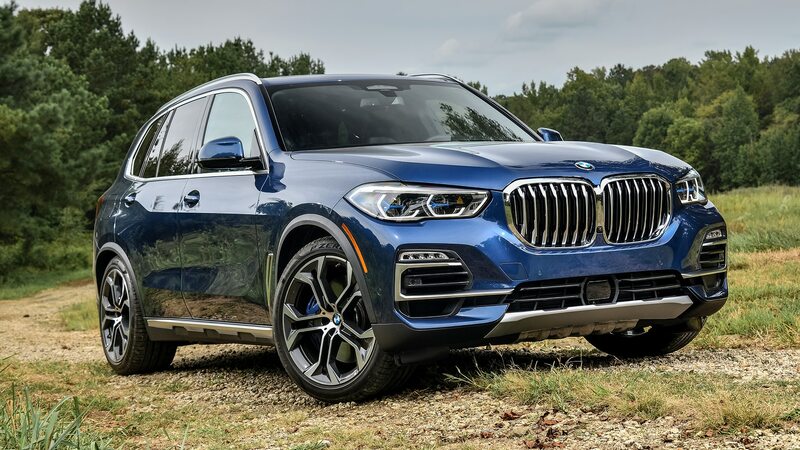 Even though this comes as part of the Off-road Package, a $3,950 extra, which also adds the M Sport Differential as well as off-roading capabilities that I’ll address shortly. 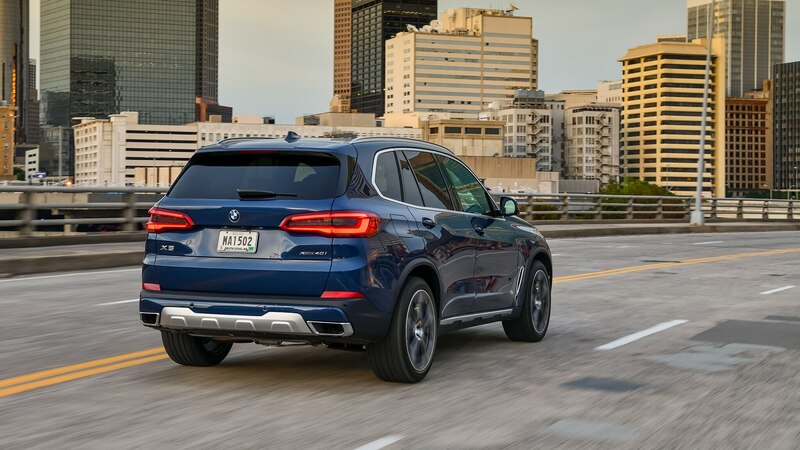 Between the differential, the suspension, and the optioned Integral Active Steering, added for $1,150, the X5 navigates windy roads with aplomb. It handles like a much smaller vehicle, feeling nimble despite its size. 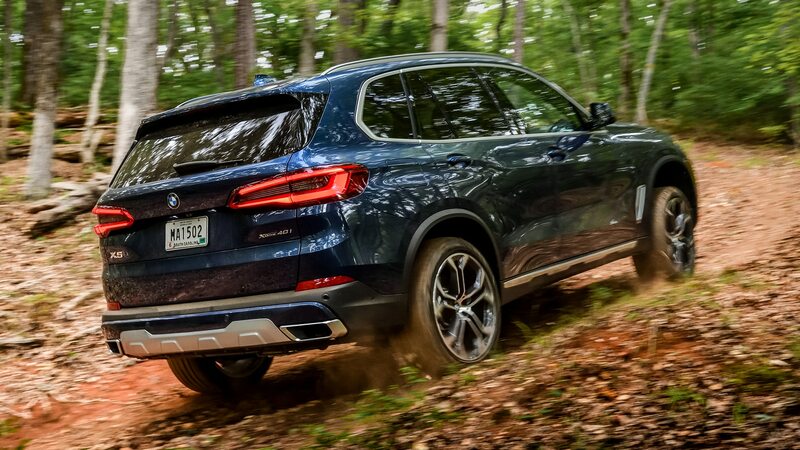 Once we arrived at a ranch in the Chattahoochee Hills, it was time to take the X5 where few have gone before: truly off-road. 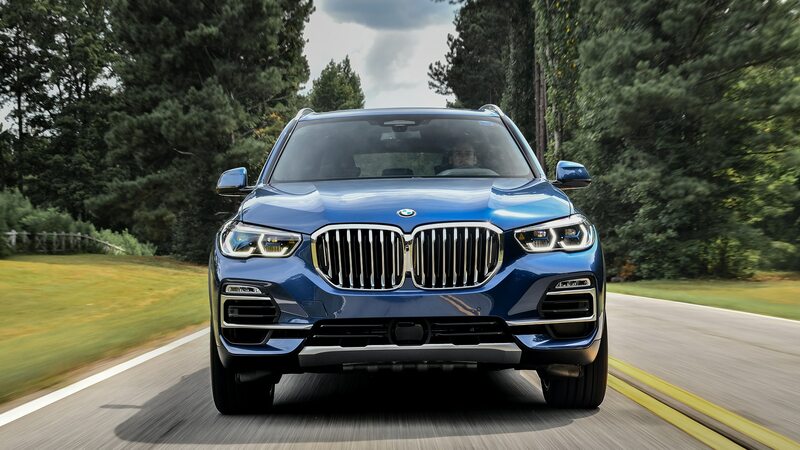 The Off-Road Package is the first BMW has ever offered, so this generation of X5 is the first that has been able to tackle serious terrain with weapons grade equipment. 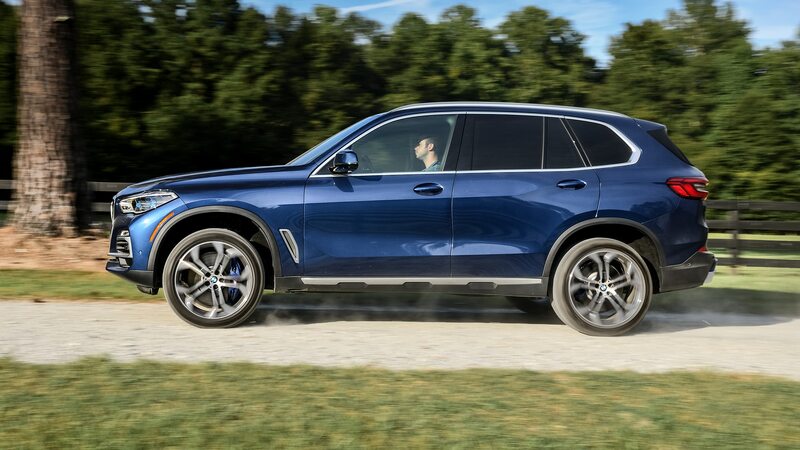 There were still signs marked with Land Rover logos scattered through the course, so it appeared BMW has some confidence in its latest creation’s abilities. We made extensive use of the hill descent feature, which holds the vehicle at a controlled speed when going down a steep grade. 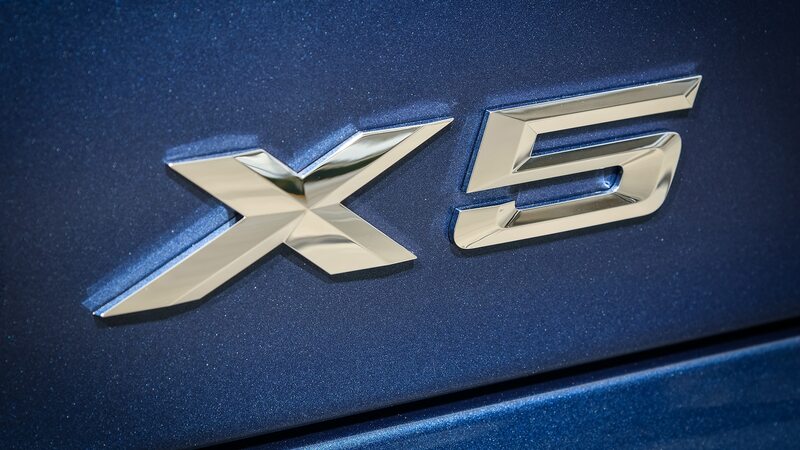 The X5 maintained its traction admirably. The rear steering was a boon in the tight corners of the forest path. It was as though the big SUV wrapped around trees, and only at one juncture did anyone from our caravan need to use the reverse gear to make it through a bend. The air suspension also played a role in making this off-roading experience memorable. 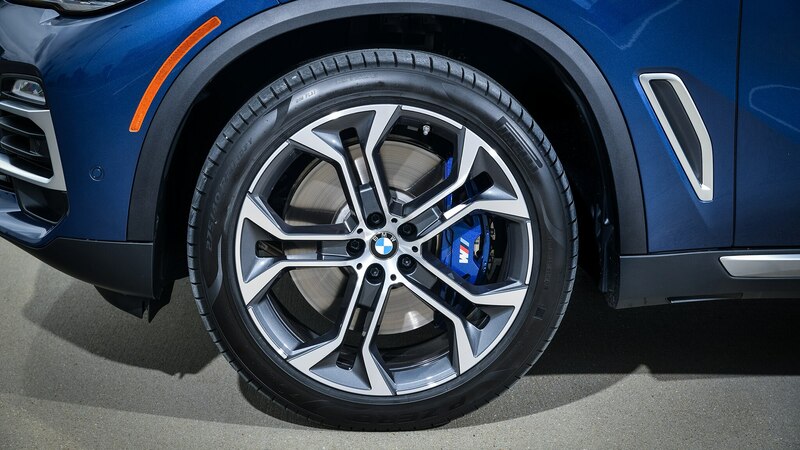 The X5’s suspension has 80mm of travel overall, and can be raised or lowered 40mm from its normal ride height. 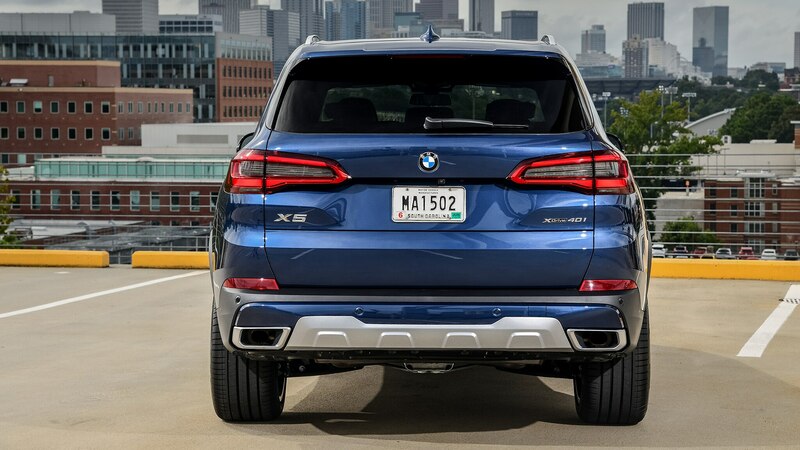 When the rough terrain drive mode is selected, the X5 lifts up to boost ground clearance. Having sampled the latest Jeep Wrangler in Moab earlier this year, I was impressed with the chassis control and off-road comfort. My tester seemed to waft over the rough stuff as I enjoyed the air condition and ventilated seats. 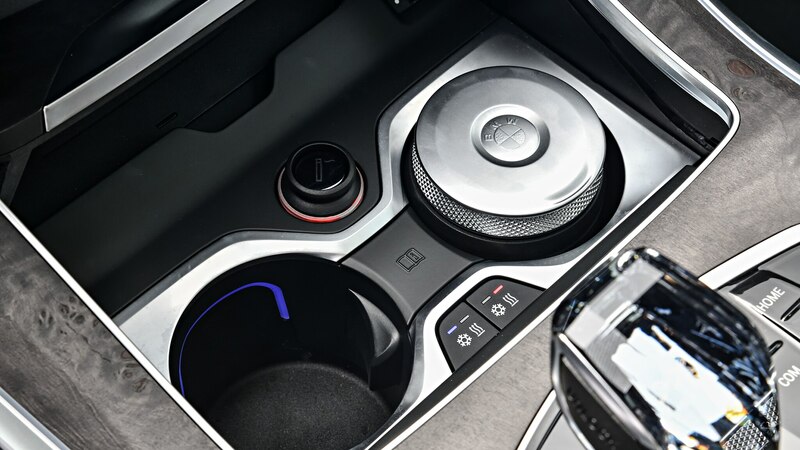 BMW also moved its interior design forward with this model. Our tester had standard porous brown popular wood trim, which imbued classic luxuriousness to the cabin. 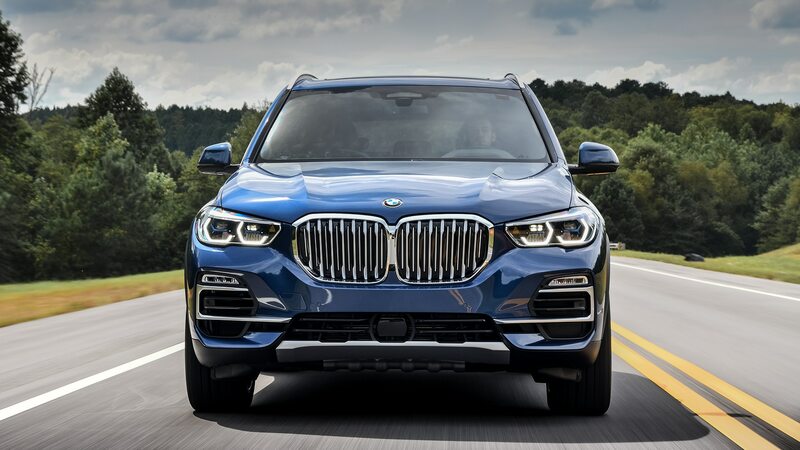 I spoke with Eva-Maria Günther, interior designer for the X5 as she walked me through the layout of the vehicle that will dictate the design language of upcoming BMW cars. 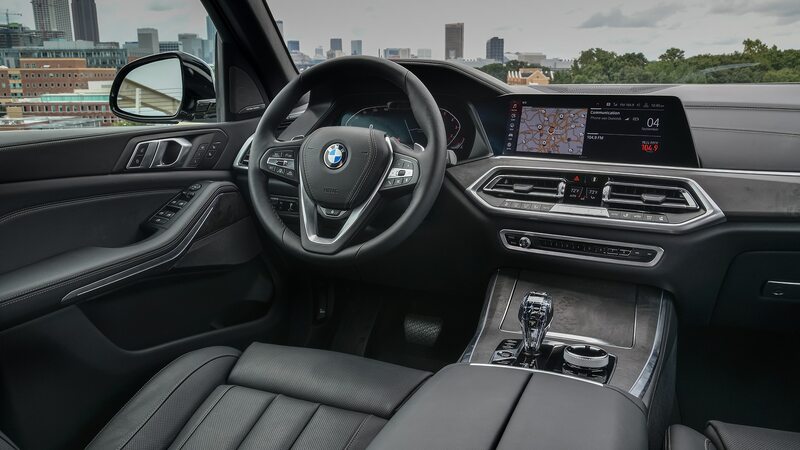 The Hofmeister Kink, or the “C” shape that you’ve likely noted on the C-pillar of BMW cars, has permeated the interior, and Günther says this is intentional. Some of the knobs and switchgear were made from glass in our tester and could be optioned for $650. Günther said these can be viewed as “jewels” or points of pride in the vehicle. 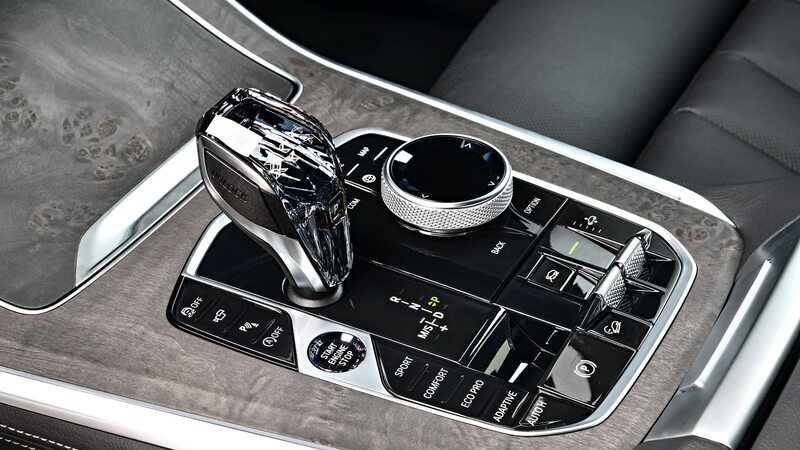 I saw them as a one-upping of Volvo’s crystal shifter, especially the crystalline iDrive knob. 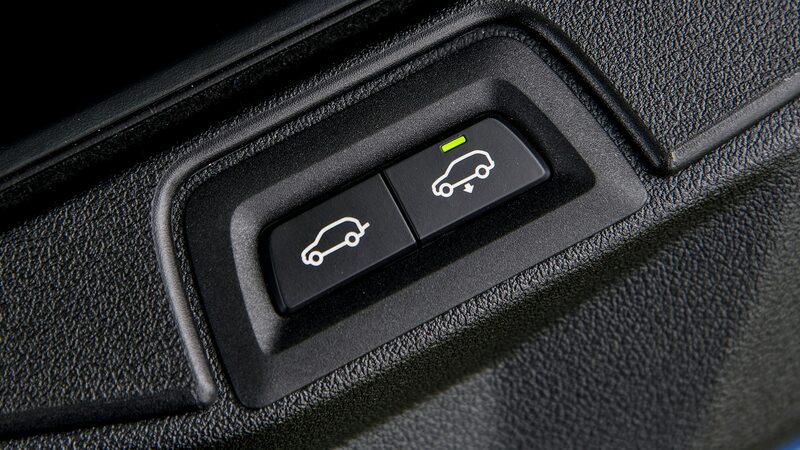 Our xDrive40i models were further luxed up with the leather dashboard option for $1,200. 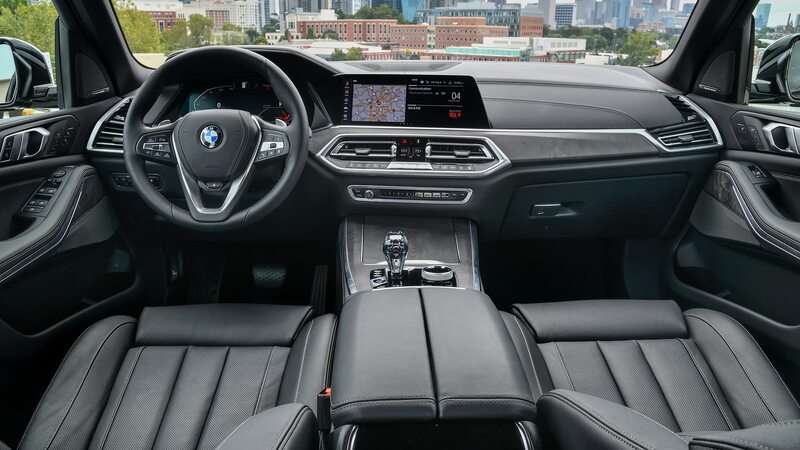 Günther also stressed the reconsolidation of controls in the X5’s interior. Buttons and switches are relegated to what she calls “islands,” and says they’re meant to organize the driver’s focus when operating the vehicle. Speaking with me inside a pre-production model, she spoke to this layout philosophy. 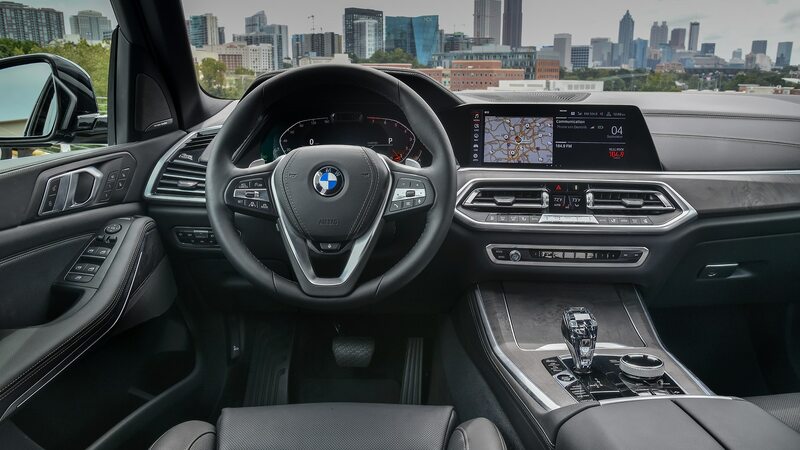 I’ve spent as much seat time in our Four Seaons BMW M550i xDrive, and the new BMW interior design language is laid out with equivalent or better intuitiveness. 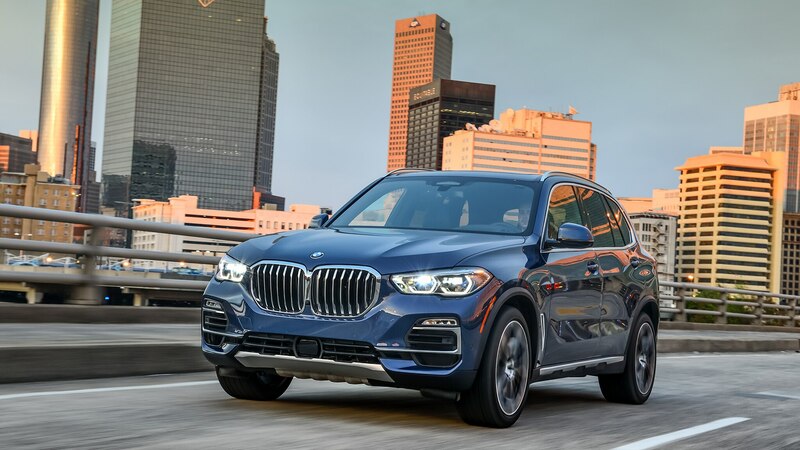 As I hopped in the driver’s seat for the first time, I had no problems situating myself and finding the features or menu items on the infotainment screen I wanted. Critics of late model BMWs of the previous generation lamented the dated design, but Günther’s work should offer something that’s both modern and familiar. 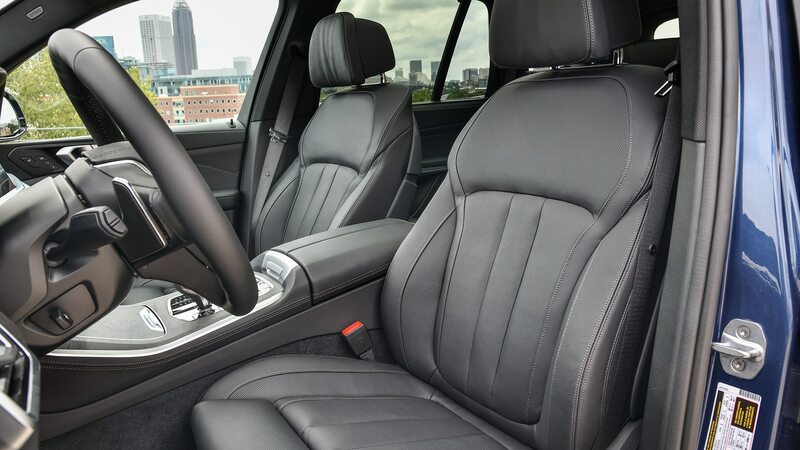 It didn’t hurt, literally, that our testers had the Luxury Seating Package, which can be added to an X5 for $1,600. It adds the multi-contour chairs for every passenger, as well as massaging front-ventilated seats, a godsend on a humid Georgia day. Along with the standard Vernasca leather, I remained happily cosseted despite the oppressive exterior conditions. 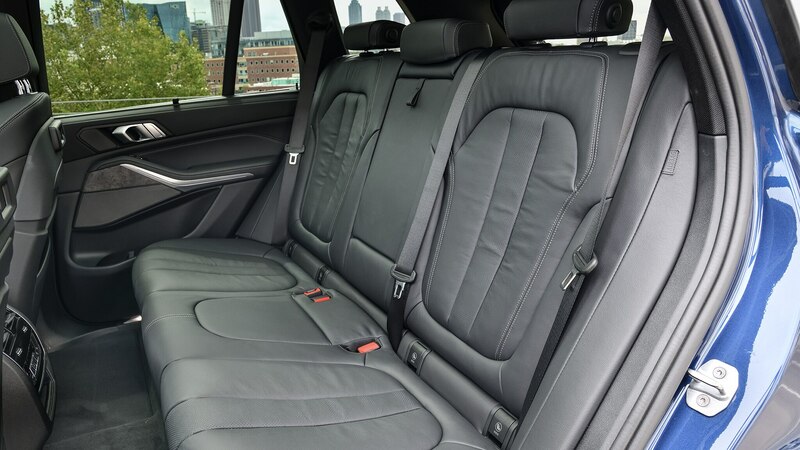 The vertical thrones are made even more luxurious with the inclusion of heated seats for every passenger for $350 and a heated steering wheel and front-seat armrests for $250. 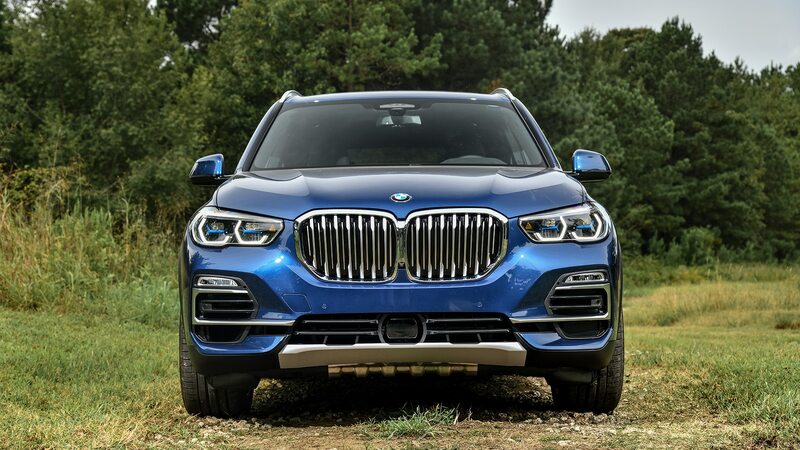 The X5 is chock-full of luxury and tech as standard, but our testers had plenty of extras added on top as well. For $1,150, the Convenience Package grants keyless entry, four-zone climate control, and a full year of Sirius XM Radio. The Premium Package, which was the least applicable during our day trip with the car, costs $2,050. It adds true luxuries, in the sense that these options are advanced, but not essential for day-to-day transportation. 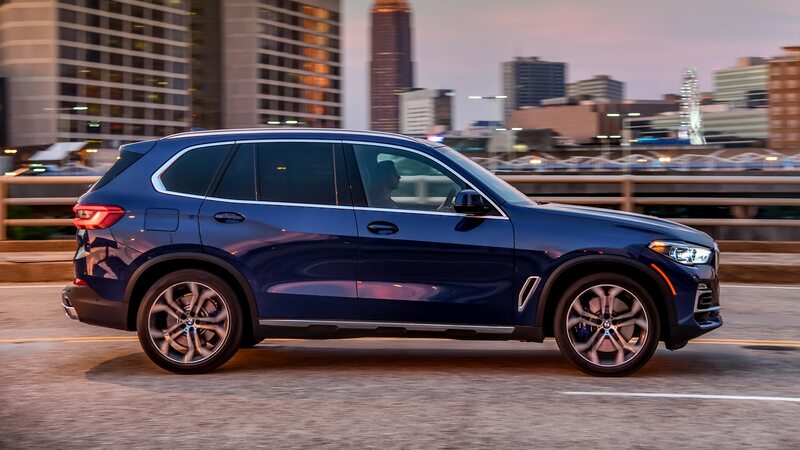 Improved parking assistant, a head-up display, wireless charging, a WiFi hotspot, “enhanced” USB and Bluetooth connections, a rear-view camera, and 360-degree camera visibility are all part of this selection. Even deeper into the world of luxury lies the Executive Package, which adds an additional $2,050 past the base price. 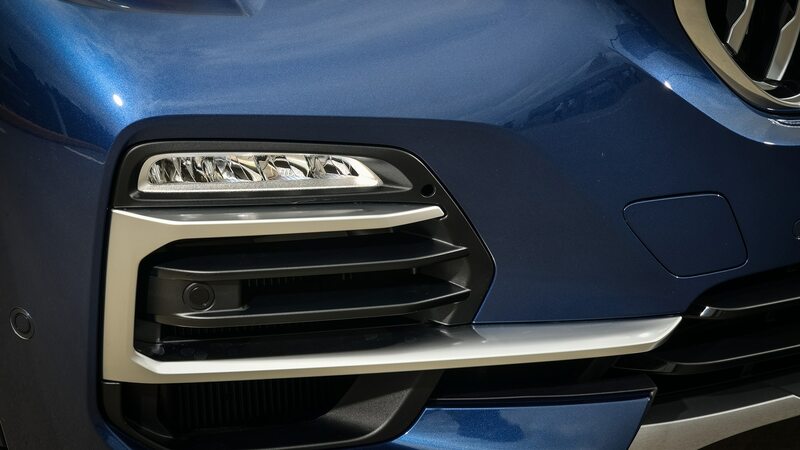 This adds remote engine start, soft-close doors, manual shades for the rear side windows, and Tron-like laser-enhanced LED headlights. 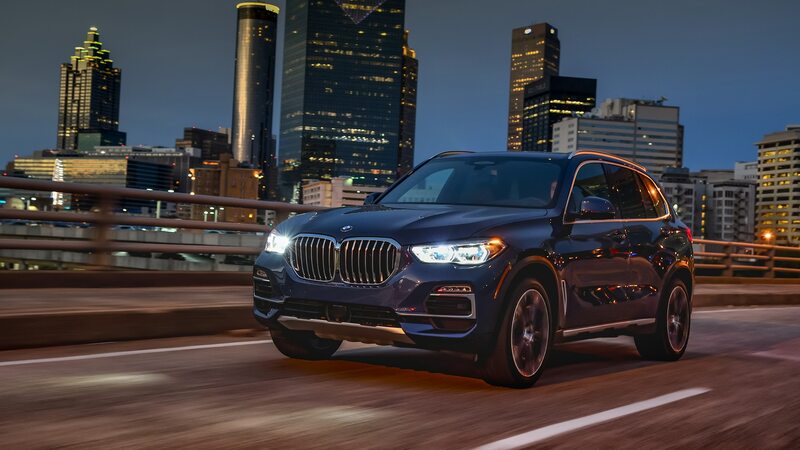 This package may seem “extra” in the sense that its options are dramatic and over-the-top, but they endow the X5 with a user experience that truly feels special, as though there’s a spectral butler taking care of needs one doesn’t even know they’ve had. 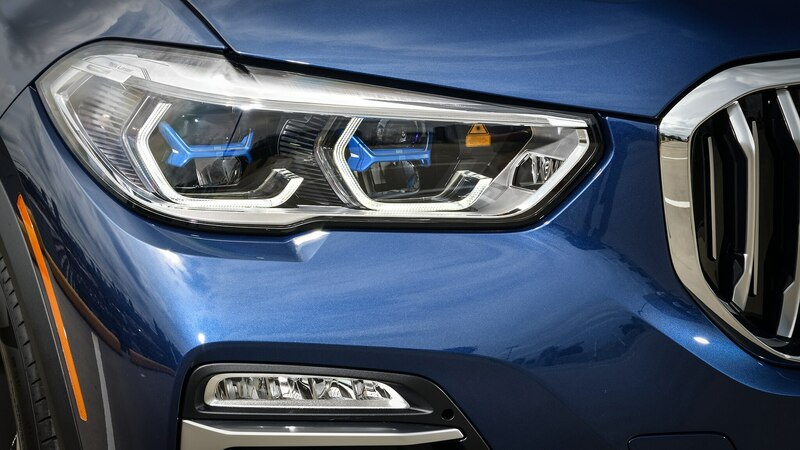 This is also the first BMW to feature iDrive 7.0, the latest variant of the Roundel’s infotainment operating system. 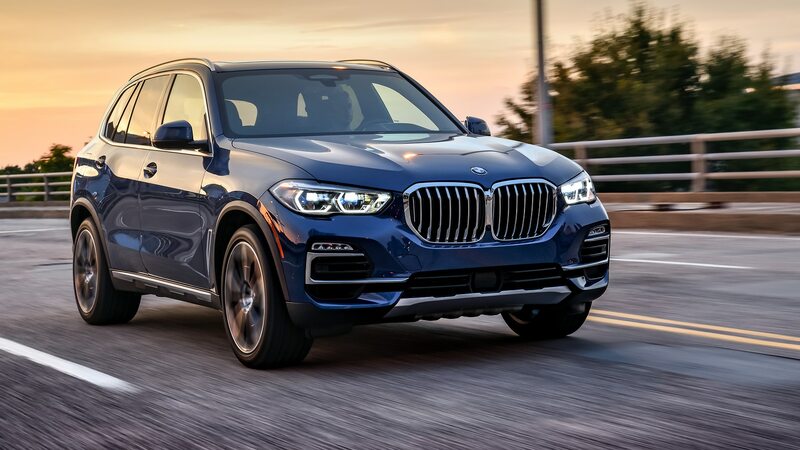 It offers increased customization and complimentary access to Apple CarPlay (shout out to my fellow Android users—BMW says the take rate on iPhone is so high they haven’t really considered adding Google’s mobile OS to their cars). The baked-in navigation, in which BMW planned our routes, offered some confusing directions. Fortunately, Google Maps is now available on CarPlay so not all is lost, literally speaking. We cranked some tunes through the optional Harman Kardon sound system, which would incur another $875 to prospective buyers, but quality is clean and crisp. This one’s certainly worth snatching up. 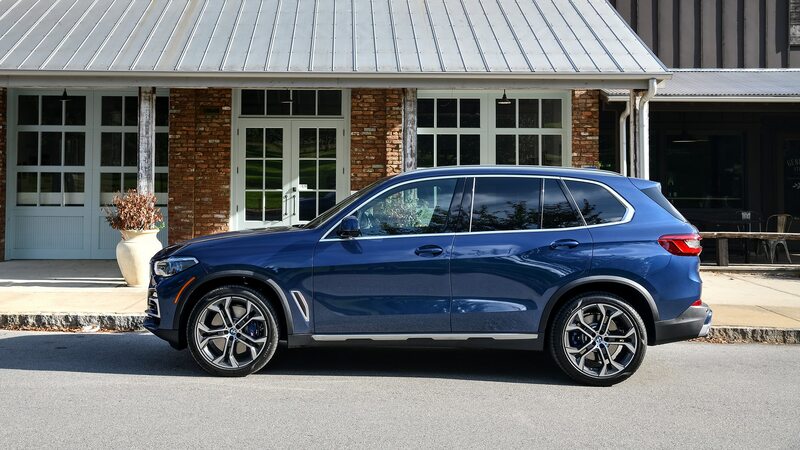 BMW didn’t forget to ladle in the safety tech in their best-seller—there’s plenty of driving nannys to keep one’s investment between the lines and out of the bumpers of adjacent traffic. To add another layer of security, the $1,700 Driving Assistance Package can be had to beef up the car’s defenses. I had some initial issues with overly sensitive collision and lane-keeping assists, but a single defeat button eliminated all of the handicaps in seconds. 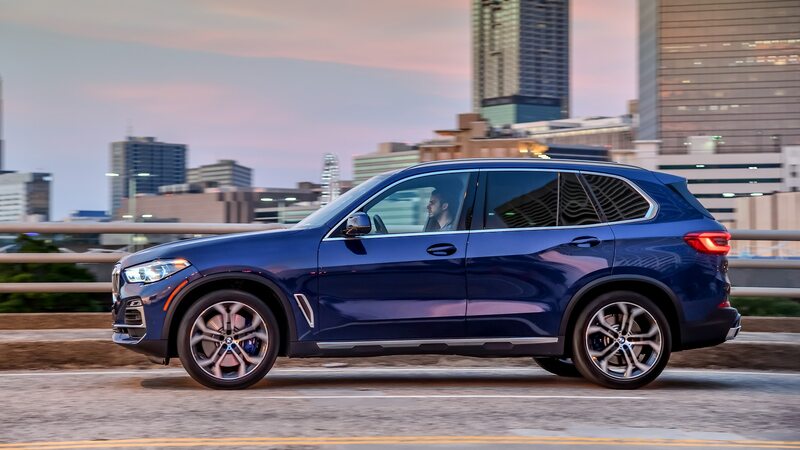 It may seem shallow to harp on BMW’s options, but our vehicle rung at $81,230 after the $995 destination charge, which is over $20,000 higher than the base price. 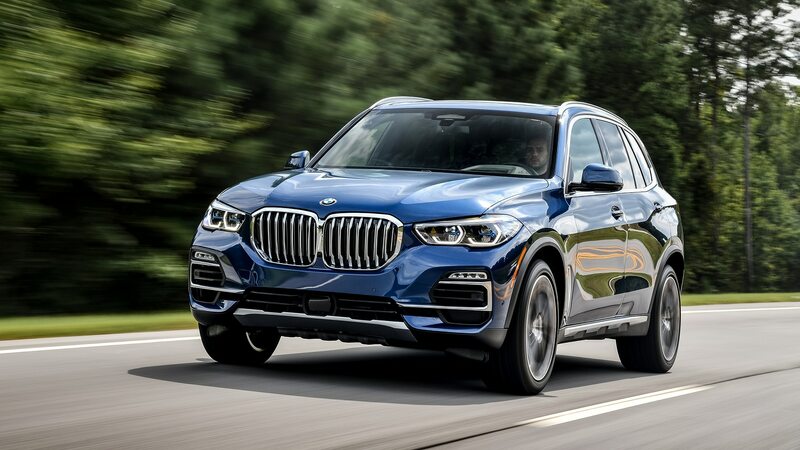 I enjoyed my time in the X5 immensely and the dynamics, build quality, and features impressed me deeply, yet I was left wondering what a base car that stickers for $60,700 would be like to drive. 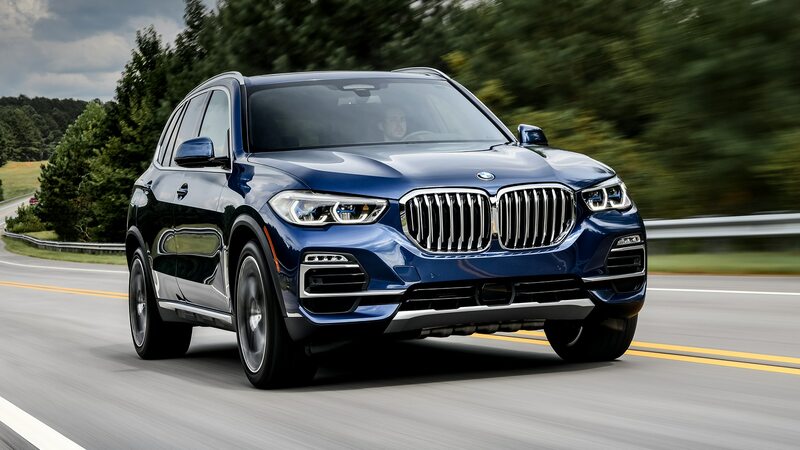 The tester of the BMW X5 xDrive40i may have quelled my skepticism of the brand’s chosen SAV moniker, but the 33% increase in price over the base model is astounding. Yes, one would receive a car with the same name, but would they have a comparably impressive driving experience? 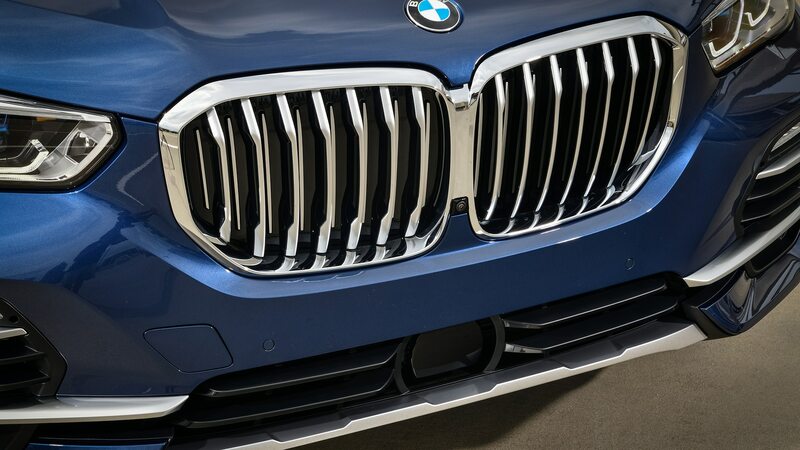 We’ll have to solicit BMW for an entirely optionless model to find out. 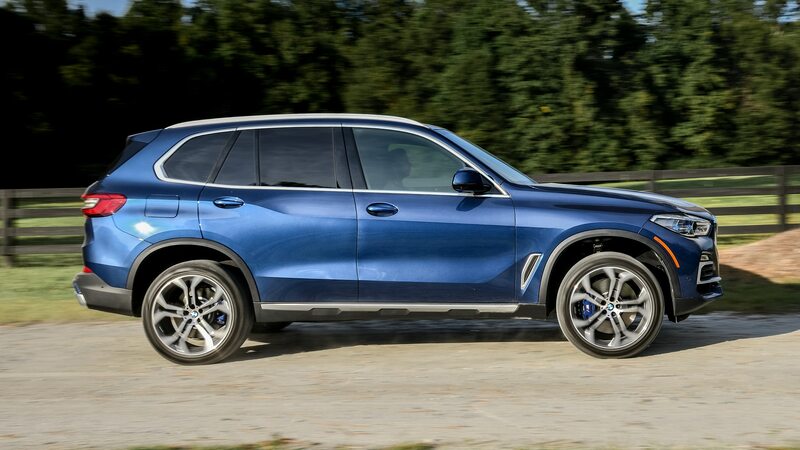 The 2019 BMW X5 will go on sale in November 2018.